Despite a seemingly perennial discussion of Right-to-Work legislation in the state, as of 2017, only 83,309 New Hampshire employees are represented by labor unions, of which only 5.1% (27,649) are employed in the public sector*. As there are no significant efforts underway to further unionize the private sector workforce, official strikes, such as the FairPoint Communications strike that took place in 2014-2015, occur only rarely. However, what continues to exist in the New Hampshire workplace, and has in fact become more common with the advent of social media, are unaffiliated concerted employee actions of varying degrees. While this conduct may consist of only a few employees jointly approaching management in an effort to effect a particular change in working conditions, it can balloon into a larger movement, such as the 2014 strike and picketing by non-union Market Basket employees. In addition to establishing the right to unionize and engage in collective bargaining, the federal National Labor Relations Act (NLRA) protects the right of non-supervisory private sector workers to engage in “concerted activity” regarding their terms and conditions of employment, regardless of whether the employees are covered by a union contract or engaged in union organizing. Protected “concerted activity” includes statements or actions taken by or on behalf of a group of employees to change working conditions. The National Labor Relations Board (NLRB) can order employers who interfere with employees’ exercise of protected rights to reinstate a wrongfully terminated employee, reverse a disciplinary action, pay back wages, and impose other remedial measures. As demonstrated in the Market Basket strike, the public is not inclined to reward employers who are perceived as having been disrespectful to their employees or who violate employee rights. In a non-union workplace, employees frequently (whether knowingly or unknowingly) exercise their right to engage in concerted activities. For example, this right protects employees who complain to their co-workers about their supervisors, wages, benefits, work rules, or other working conditions, regardless of the employee’s mode of communication. The NLRA thus makes it unlawful for employers to discipline employees for voicing or posting their complaints; sharing information with other employees regarding their wages, benefits, and other working conditions; and, in many cases, attempting to solicit sympathy or support from the general public or customers regarding their working conditions. Given the expansive scope of the NLRA and the common misconception that it only applies to unionized employers, it is not uncommon for non-unionized employers to inadvertently run afoul of the Act’s protections. When developing employee handbooks, personnel policies, and work rules, employers should determine whether they are NLRA-compliant, both on their face and as enforced by the Company. It is also advisable for supervisory employee training to include a briefing on NLRA protected employee rights and to outline the employer’s procedure for responding to incidents of protected concerted activity. * Barry T. Hirsch and David A. Macpherson, Union Membership, Coverage, Density and Employment by State, 2017, http://unionstats.com (2018). Anna Cole is a Labor and Employment attorney with Drummond Woodsum. She advises private and public employers throughout New Hampshire on all aspects of the employer-employee relationship. 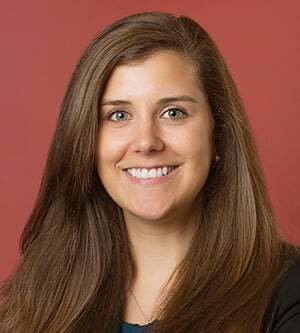 She is a New England Super Lawyers Rising Star and was recently named one of New Hampshire Union Leader’s 40 Under 40.